Costas Varras was born in Athens, Greece in 1983. He started playing the guitar at the age of 12 while he was studying both modern and classical music. In 2000 he formed his first band “Perpetual” and started composing the material which was finally released as a debut album in 2004 by Sonic Age Records under the name of OVERLORD’S PERPETUAL. That’s when he first met and worked with Bob Katsionis who played all the keyboards in the album. Right after the release of this CD, Costas moved to Hollywood to pursue his dream. After playing with local bands and graduating from Musician’s Institute and composing new material, in 2009 he entered the studio with legendary Chris Tsangarides as a recording & mixing engineer to record his sophomore album joined by drummer Fotis Benardo (Septic Flesh), Kevin Goocher (OMEN), Corvin Bahn (Uli Jon Roth). But it was tragic fate who struck Costas, as he was diagnosed with a really serious illness and had to return to his homeland Athens and abandon these recordings leaving the album unfinished with sole “survivor”, the videoclip of the instrumental track “Hollywood After Midnight” shot in the streets of Hollywood by Costas’ now-long time friend Bob Katsionis. In 2015 and after Bob’s encouragement, Costas started the re-recordings of the same album, enhanced by new material, new arrangements and a plethora of worldwide famous singers such as Henning Basse (Firewind, Mayan, ex-Sons Of Seasons etc), Chity Somapala (ex-Firewind, ex-Avalon), Kevin Gootcher (Omen), Billy Vass (Terra Incognita), Vaine Bodner and Joseph Michael (Witherfall). 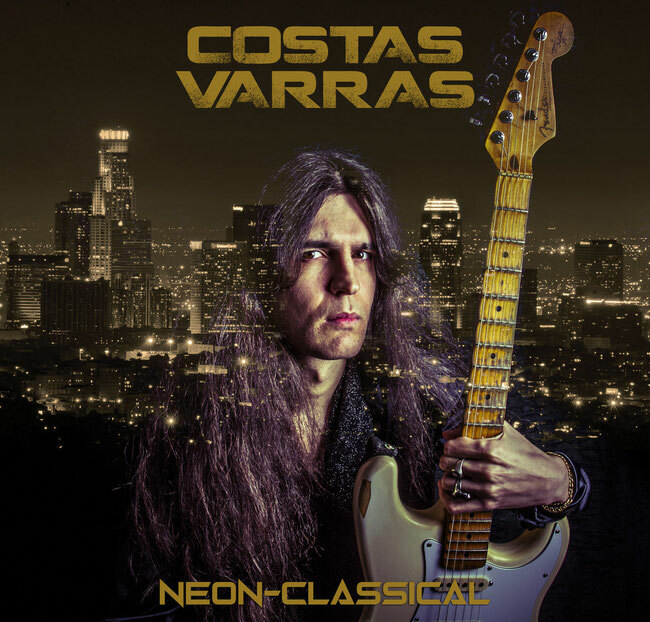 Recorded, produced and mixed by Bob Katsionis at Sound Symmetry Studio, Athens and mastered by Nasos Nomikos at VU Productions, Piraeus (GR), “NEON-CLASSICAL” is the fourth official release of new-found SYMMETRIC RECORDS owned by Bob Katsionis.